Foodalution: The Vanilla that Broke the Bank! I also have a 16 oz. bottle of vanilla (err..um..from Costco and prolly not as tasty) in my pantry and use it all the time to make banana milk shakes for the family (made with vanilla ice cream, strawberries, Yoplait berry yogurt, and anything else fruity I can get my hands on). I'm a total juice freak. And besides, vanilla smells sooooo good. You did the right thing. It saves money in the long run (gas, carbon footprint, wear and tear on the car and tires and engine, buying in bulk, reduce package waste). Go pat yourself on the back for being environmentally conscientious. You simply can't beat good vanilla! It's worth it if you can afford it! Megan, love your blog! There is just something special about using quality ingredients. I will splurge on Madagascar Vanilla Beans! 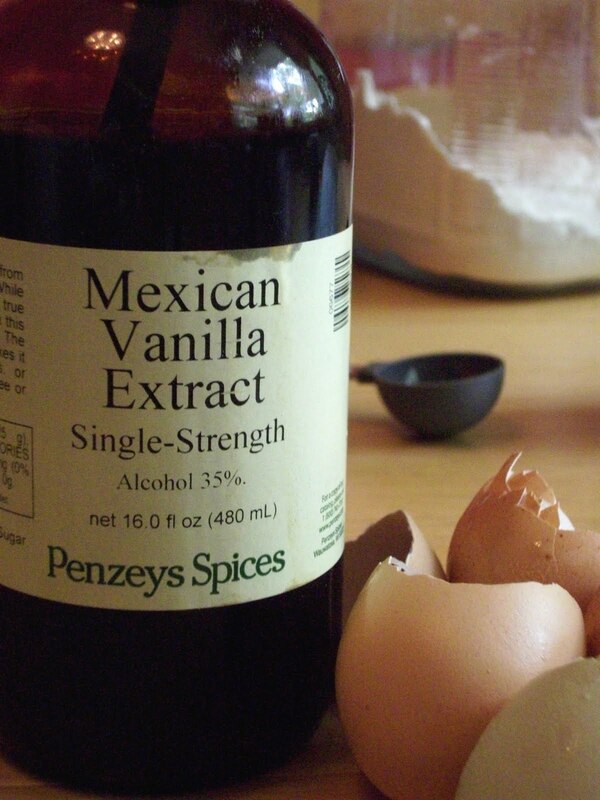 And it is not as if you will use the vanilla in every recipe, so you are sure to have that extract on hand for a while! You'll be glad you did and so will those you feed! Thanks for checking out my blog. I would love to read more about some of the recipes you use for your diet. I have Lupus and have been searching for a "palate friendly" eating lifestyle. I totally agree with you! When we went to Mexico last year I stocked up and my husband thought I was crazy!